It’s all about where you were born…..and to whom! sleeping in airports, these vastly different places drove home for me the immense divide between kids’ lives in countries around the world. These differences are rooted in the rate of child survival and the striking disparity in their opportunity for a productive and happy life. 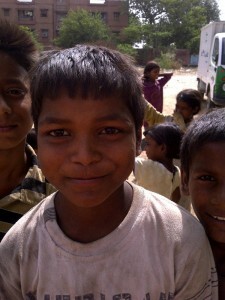 In 2010, nearly two million Indian children never had a chance. They died from easily preventable causes before they were five years old—things like pneumonia, prematurity and complications at birth that could have been prevented, and even diarrhea, which claims the lives of tens of thousands of Indian kids every year. This represents the death of 63 kids for every 1,000 born in India in 2010. In contrast, fewer than a thousand children under five died that same year in Denmark, where there are 64,000 annual births—making it one of the highest-ranking countries for child survival. Surprisingly, far more kids died in the US before they made it to 5—32,000 in 2010 or 8 children for every 1,000 born. And we lose most children in the US as babies: 57% of child deaths occur before they are even a month old. While these statistics are shocking, they realities are even more alarming. A country’s average rates don’t really tell the story of the very poorest children. In poor urban slums, like the one I just visited in India, the rate of child survival is far below the national average. According to WHO data and UNICEF’s recent report, The State of the World’s Children 2012: Children in an Urban World, slum dwellers in India have almost no access to government health services and the rate of child deaths among the poorest urban families is three times higher than the wealthiest urban families—or 85 deaths per every 1,000 births. And here in the United States, it is poor families (and usually black, Hispanic, and Native American ones) who overwhelmingly experience the heartbreak of the death of a child. The lottery of birth is truly that—and for those with bad numbers, it can be a virtual death sentence. Of course, the statistics only tell part of the story. The real stories are with the moms, dads and children who live in deep poverty around the world. Like the mom I met recently in Mozambique who told me she had lost her first baby because he got an infection that turned into pneumonia and she didn’t have the money to get him to the clinic more than 20 miles away. Or the families I met in Uganda in February that had only one district hospital to serve more than 50,000 people, and where mothers lost babies when they went into labor on the long walk to get there. The 7.6 million children who die every year are mourned by many more millions of mothers and fathers in the poorest communities in all corners of the globe.